Too often, we live through our lives without really engaging with it. It seems like we have lost the engagement with life we once had when we are young. We don’t talk about our dreams and who we want to be anymore. We are not as ambitious as when we first step into the working world. We have get used to our lives, living day in and day out, without really thinking about how we truly want to live. Without knowing whether if this is the life that we truly wanted to have. You need to have a goal if you want to feel alive again. No matter whether it is a financial goal or a vacation goal, you need to have a target in order to feel engage with life again. I have seen too many people living lives without knowing what they want or where they should be heading. They lost the direction in lives and live like a walking zombie. Your goal will become your purpose in life. If you are living without a goal, it simply means that you are living your life without a purpose. And if you have no purpose in life, how can you feel alive? It is either you grow or you regress. Bring something new into your life by learning a new skill. Do you want to learn to speak Korean, Chinese or French? How about learning how to play piano? Or maybe you can learn how to cook? Exercise regularly. If you want to live till 80, you need to have a healthy body and you need to exercise regularly. You will feel the energy when you exercise and your body will release endorphin that will release your stress and make you feel more alive. I’m not asking you to soak yourself with movies the whole day, once a week, watch a movie that you like to feel engage with yourself. When is the last time you pick up a book and really read it? If your answer is during your school day, you don’t have a life. Successful people read a lot because they know that reading is like exercising your body to your mind. If you want a book on business, I recommend Good To Great from Jim Collins. If you want a book on personal development, get Anthony Robbins’ Awaken The Giant Within. If you want a book about personal finance, get Harv Eker’s Secrets of The Millionaire Mind. If you have not found your soul mate yet, it is alright, you can do this to anyone you love. Spread the love you want and people will return you the favor. Learn to appreciate and say thank you for whatever that comes into your life. When people do you a favor, don’t forget to say thank you. Better yet, write a thank you note or email to people you care and love. If you want to feel more alive, you need to appreciate and be thankful to everything that you have in your life. Your love, your parents, your house, your dog, your car, your computer, your phone, etc. Every morning or every night before you sleep, write your gratitude list. Get to know someone at least once a month. Even if you are an introvert, you should do this. As human beings, we need to have the sense of connection to feel alive. So expand your network and get to know at least a stranger once a month. Do you sing? If you hate singing or you feel that you can’t sing, great, it is time for you to choose a song and really learn how to sing it. It is alright if you can’t sing it well, we’re not going for the competition. By the way, choose a song that will uplift you and not make you sad. Every time when I traveled to country such as Thailand, I will definitely drop by to get a massage. You need to treat yourself and your body well. Meditation is one of the best ways to engage yourself with your life again. You should do this regularly. It is alright if the view is not as scenic if you are living in the city. However, watching a sun rise and enjoy it can make you feel refresh and it is a great way to start your day. When you know what you want to accomplish in your life, seek out those people who had done so and get at least one of them to be your mentor. Let them guide you so that you can get to your destination faster. It doesn’t matter if you’re not a great chef. As long as you put in the effort and cook with ‘heart’, it will be a great meal. There are tons of recipes for you to follow through on the internet. You should try out something new regularly to get a feel about life. The easiest place to start is to choose to eat in a new restaurant that you have never tried before. Life is short and you really don’t want to waste your chance to try out a new food. I believe that everyone who is able to read this played some games before. Be it from your computer or from console or from your phone. If you have never played any game before, you should try it. Just don’t overspend your time playing games. 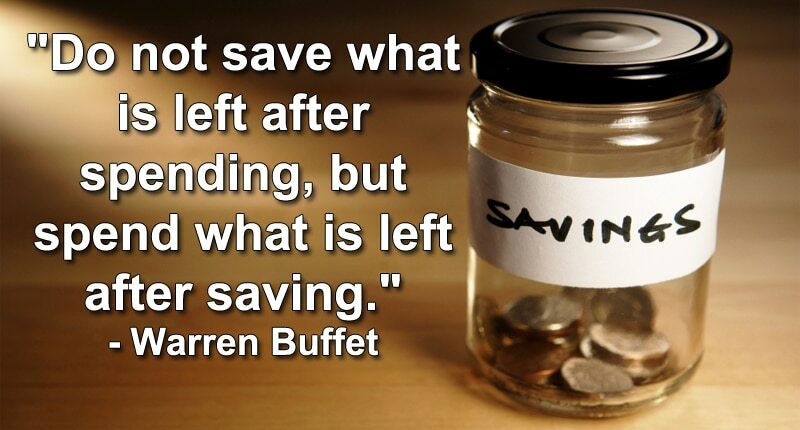 It is wise to save at least 10% of your income for future or investment use. When you know that you have more, you will tend to feel more comfortable, have more confidence and more creativity. A habit is not easy to neither break nor adopt, but if you have the will, you can. Can you imagine how powerful you can be if you are able to adopt just 1 or 2 new habits a year? You will become a totally new and changed person within a few short years. Once or twice a month, you need to hangout with friends that will grow together with you. If you check out Maslow’s hierarchy of needs, you will see that the sense of belonging is the third need. So get connected to feel alive. Try to commit to attend to a seminar or a workshop that will improve your skills and knowledge at least once a year. You will get to expand your network and learn something new there. You don’t need a reason to smile or to feel happy. It is alright even if other people see you as a lunatic, they won’t understand. Smile more often and be happy always. No matter what happen, you will still need to go through life, so why don’t choose to go through a happy life, eh? This is another great advice to move on and live an engaged life. You can never move forward if you hold grudges. It is when you forgive and let go, you will be able to free yourself and get to higher ground. So stop holding grudges for whatever that has past. This is a powerful one. If you want to feel alive, just follow your passion and do what you love doing. Can you imagine spending time each day working on things that you hate? How much time are you going to spend doing things that you don’t like? So choose to do something that you love doing. When time allows, try to get to work or get back to your house using a different or a new route. Walk a new path, try a route you seldom use and see new things to refresh your mind. What are you afraid of? Face the fear and nothing can stop you. If you fear public speaking, find a way to conquer it and face it. This is because if you conquered what you fear, you will be able to achieve much more. You know that if you can overcome your fear, nothing can stop you anymore. You just need to be creative in this. Do something that new that you have never tried before. If you have never visited the museum before, perhaps it is time to do so. If you have never tried out go-kart before, you should arrange a date for it. Doing something new will create new neural patterns in your brain, which will make you feel “fresh” and more engage with the activities. Play basketball if you never play it before. Climb a hill, do flying-fox, cycle in the woods, attend a concert, etc. Choose to wake up early, spend some time to exercise, review your goals, plan your day, and have good breakfast to start your day. This will make you feel so much better and so energetic to tackle the day. Be it in the temple, in the church, or in the mosque, pray with your heart. There are 6 areas that we need to engage in life, and one of them is our spirituality. Never tried this before? Great, this is your chance to do it. This is the activity where you enjoy watching the sky, looking at stars and losing yourself in the vast universe. It is romantic and in the same time, able to practice your imagination and creative skills. Sometimes you should just slow down and just wander around the city. Stop and look at where the people are going. You can do this aimlessly and just let your intuition bring you where you want to go. What goes around comes around. So make it a habit and consistently volunteer yourself to do good to the society and the world. Visit the orphanage, the old folk homes, or volunteer to clean up the city by joining a charity organization. How often do you donate? When you donate, there will be changes in you. You know it that you have more than enough to help and you know that you have done something good that will impact the world. Hence, you will feel more confident and reinforce the abundance mindset in yourself. This is a great way to feel alive and connected with what you want in life. Cut out magazines, papers or simply print out the things that you want to have in life and create a vision board about it. When there are just too many things around you, you will feel tense and can’t really focus your thinking. This is why is it is always a wise move to clean up things, clear up the clutter and make the environment simple. How do you feel when you dress properly and better groom yourself? Your mood is totally different and you feel more confident. So take care of your outlook because your outlook will affect your self-image. Get a haircut if needed. Buy yourself a new and smart suit. What do you want to be, do and have? Get yourself your favorite beverage and enjoy writing down 100 goals in your life. It may be easy in the beginning, but as you go deeper, the more challenging it may be. When you reach 100, you will feel extremely fulfilled. And start working on your goals. When I suggest doing something crazy, I’m suggesting that you do something that what normal people will not be doing. For example, you can run or dance in the rain; you can paint your house into many different colors, or you can buy an exotic pet that you really love and take care of it. (One of our readers say this is unethical, 🙂 so be crazy but never forget ethics and morals. ) Just be fun and make your life engaging. Most people are not feeling alive because they are not engaging and they are not doing things that they love. They do things that they were asked to, such as their work. So write down at least 5 hobbies now and do 1 of them immediately. You don’t always have to think about others. 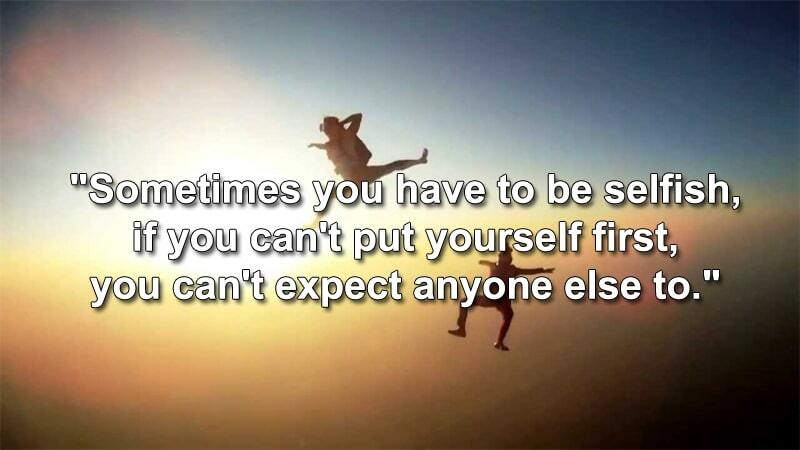 You should take care and put yourself as the priority. Order the food that you love, do the work that you love, listen to the songs you want, play the games you craved for and always put yourself first. You are the most important person in your life. Success starts from home, so does living an engaging life. If you don’t love your parents and your family, how do you expect others to love you? If your parents are still around, put down what has happened in the past and love them with all you can. You won’t be in this world if it is not because of your parents. Stop blaming and stop complaining to the things that are happening not the way you want. You definitely cannot control the direction of the wind, but you can always control your sail to reach your destination. When you blame and complain, you are giving up your power to control and to change. So take responsibility from today onward. When you are responsible, you can change things around. Whatever comes out of your mouth can hurt you or help you. Stop using abusive words and think before you speak. You may have hurt someone before, apologize to them and learn to speak with grace. Whenever possible, try to take supplements. Eat more vegetables and fruits. Exercise regularly and stay healthy. Whatever you put in to your stomach, you will feel it with your body. If you eat junk food, your body will soon associate with junk. If you eat healthily, you will feel more energetic and more vibrant. There is a saying, “I don’t know what the secret to success is, but the secret to failure is to please everybody.” You can’t be everything to everyone. If Thomas Edison was to please everyone, he would never have invented the light bulb. If Michael Jordan did not believed in himself and please everyone instead, he would never be the basketball superstar. You don’t have to pretend or act like other people wanted you to be. You just need to unleash and be yourself. Be authentic and people will value you for who you are. Furthermore, you will be able to live a truly engaged life if you do so. We are human beings and we cannot just stay in the office 24 hours. If you do that, you will feel trap and stress. Go get close to the nature. At least once a week, expose yourself to the nature. Take a walk in the wood, jog in the garden, walk by the beach, etc. Why do people prefer to work in well-known companies such as Nike, Microsoft or Google? If you were given a choice to work for Google or John Search Engine, which one would you opt for? Most probably people will go for Google. Why? The reason is that people like to be a part of something big. 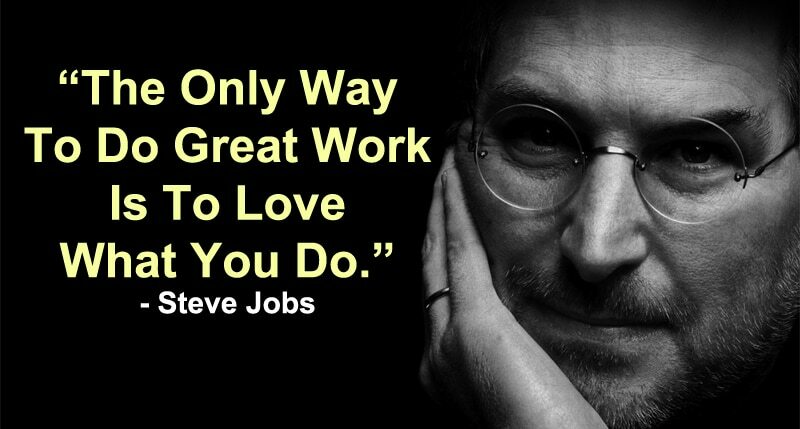 People love to be around with successful leaders who have great vision and great dreams. So be part of something big. Dream big, go bigger, and have big vision. Know exactly what you want to accomplish in your life and go for it. How do you know when you are successful? If you are running a business right now, does it means that you will be successful once you get your company’s profit to hit $1 million dollar mark? Are you not equally successful when you are making $100,000? So what makes you successful? Here’s something interesting that you must read, How Do You Define Success And The Real Meaning Behind. You are the one that will determine your own success. There are many ways how you can truly live your life and be happy again. I shared 50 of them here. Some may resonate with you and some may not. You may want to try out some of the ways mentioned above and be engaged with yourself again. Goal setting is a must have, or else you will be living life aimlessly. Remember, life is supposed to be fun and engaging. And you can choose how you want to live your own life. So if you are not happy with your life right now, you can change it. Great list! But I have a problem with #39. First, crazy/normal is relative so a better title would have been “Do something unordinary”. But if you really want to use the word “crazy”, then maybe you could have added “but responsibly”. Encouraging people to go buy an exotic pet is not “crazy” but rather “irresponsible”. Love your feedback and appreciate your time here. Way To Go. Very Inspiring.